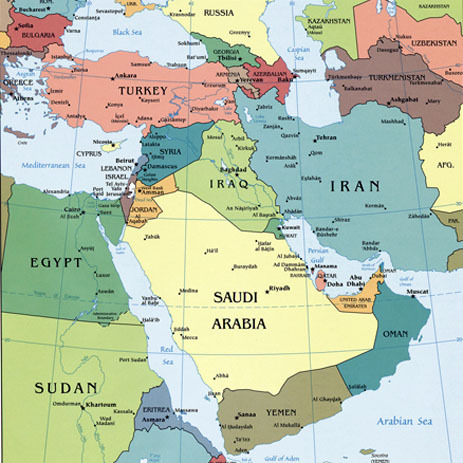 Could Iran wipe Israel off the map as Deputy Defense Minister Ahmad Vahidi threatened? Will Iran be able to accomplish such a feat at this time in history? The fact that Israel exists at all is miraculous. Those who do not believe or know the God of the Bible, may not understand that only He will determine the future of Israel. Ahmad Vahidi should be very clear that any threat he makes can only be carried out if God allows it to be and will never succeed while God is protecting Israel. It is my belief that we are in the last days and that Israel will continue until the end. When we become so bold as to believe that we will be able to take out the nation of Israel that God has called His own, we have become arrogant indeed. A young man in Israel’s army became very afraid. This entry was posted in Christianity, Islam, Israel, Our World Today and tagged Ahmad Vahidi, Elisha, God, Iran, Israel, Lord. Bookmark the permalink. 2 Responses to Could Iran wipe Israel off the map as Deputy Defense Minister Ahmad Vahidi threatened? I think there is a lot of potential for Israel to be wiped off the face of the Earth. With Iran flexing its muscles and the US not supporting Israel like we used to. I think there is a widening opening of opportunity for Iran to do something stupid. But then again I think WW3 can start any day due to what N Korea is doing as well. Only the Lord can save Israel and I hope that at this time He will. I believe He will. The US is not mentioned in the book of Revelation as far as I can tell. We are the nation that will decline, it seems to me, if we are in the end times and many people agree that we are.